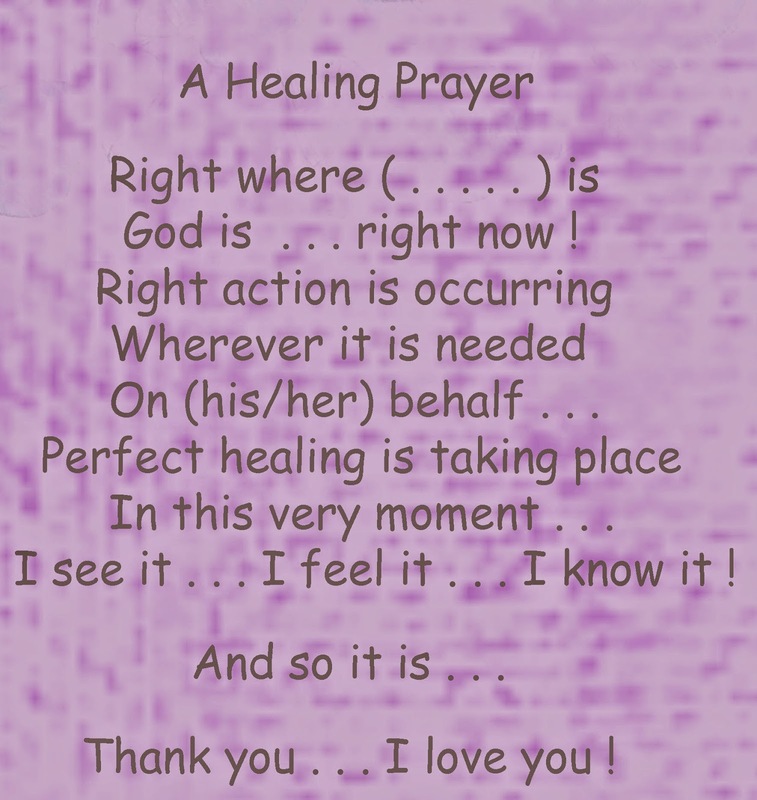 This short 'Healing Prayer' was inspired by Reverent Michael Bernard Beckwith. He performs many wonderful prayers during his Agape Live sermons on Wednesday's and Sundays, if you would like to hear more. Just insert the name of whom or what you are praying for; it can be a person, an animal, or anything else that you think needs the healing. Feel free to be creative and adapt it to you and your personal needs.